John Kapon is Chairman of Acker Merrall & Condit, America’s oldest wine merchant and the world’s largest fine and rare wine auction house, a firm that has been selling fine and rare wines since 1820. Through his visionary leadership and ceaseless energy, Mr. Kapon spearheaded the Company’s transformation from a single New York City storefront to the largest fine and rare wine auction house in the world. Since joining the company in 1994, Kapon has elevated Acker Merrall & Condit to the forefront of the auction world. 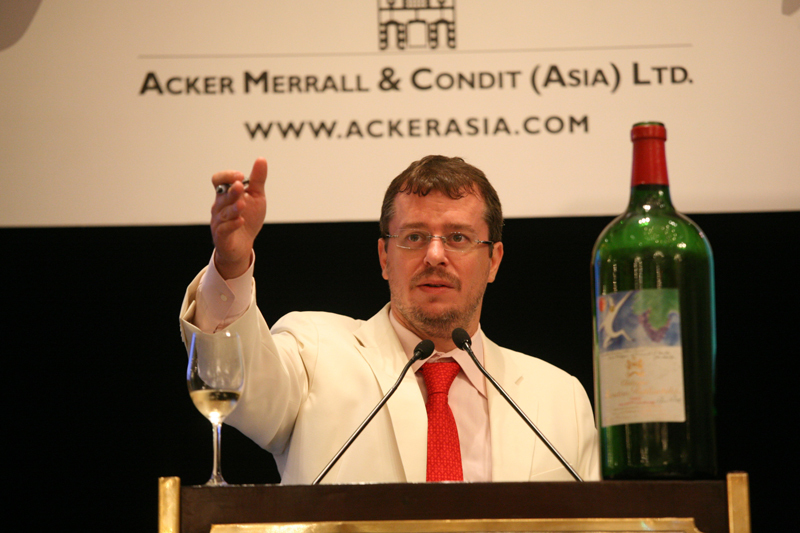 Recognizing a growing thirst for fine and rare wine overseas in tandem with significant changes in the global economy, he pioneered the market for wine auctions in Hong Kong, now the world’s leading fine wine center and gateway to Greater China, with the creation of Acker Merrall & Condit Asia. Today, Acker Merrall sits atop the global wine market, and has done so for more than a decade – an unprecedented run. The third generation of his family to lead Acker Merrall & Condit, Kapon has brought a uniquely passionate and personal approach to an industry often viewed as conservative, formal and exclusionary. Under his direction, Acker Merrall & Condit has delivered a direct, approachable experience for wine auctions. He has gained the trust and confidence of a global, loyal and ever-growing community of fine and rare wine collectors surrounded by an atmosphere of passion and the pursuit of fun as they experience the best and most highly coveted wines on earth. A leading fine wine expert and master taster, he has also released his first book, The Compendium: Tasting the World’s Finest Wines – Volume I. This definitive collection, featuring hundreds of tasting notes beautifully illustrated with dozens of photos of the world’s greatest estates and vineyards, provides an insider’s glimpse into the exclusive world of fine wine.